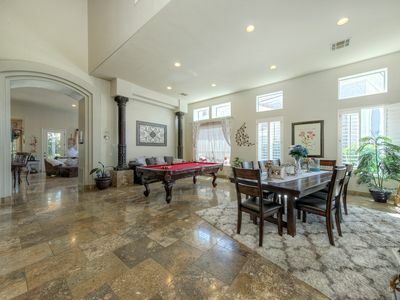 Get the best of both worlds—resort amenities combined with the comfort of a private home—at this 5BR, 3BA Scottsdale home! 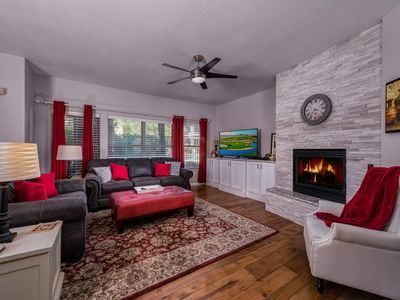 The private backyard boasts top-notch amenities and you’ll feel right at home in the spacious and completely-remodeled home. Could not be more centrally located! 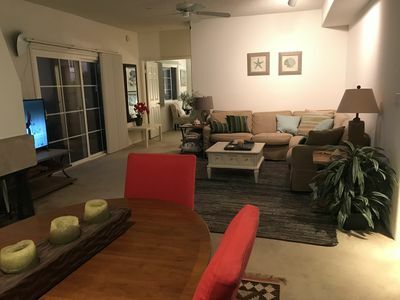 At this property you are in Walking distance to tons of restaurants right outside front door it is literally 3 minutes from Scottsdale road. 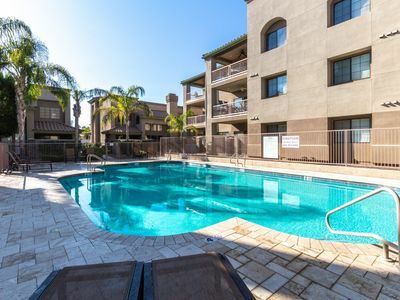 3 minutes from grocery stores, steakhouse, café’s, Starbucks, and more! 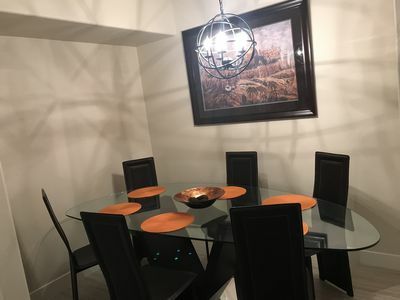 Close to Shopping, Restaurants, Golf, Baseball, and many more activities. Golfers love our location near some of the best golfing in the area. 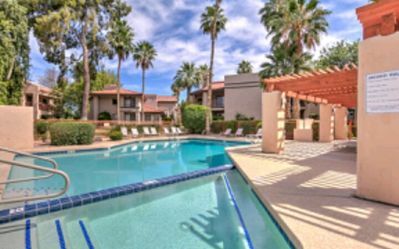 Just minutes from shopping, dining and entertainment at Kierland Commons and Scottsdale Quarter. 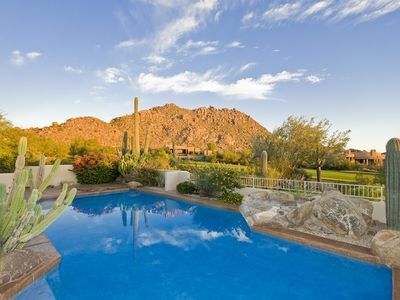 Backyards don’t get any better than this! 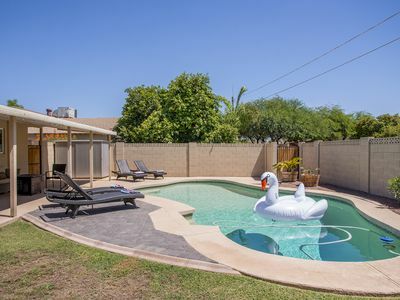 The large yard is private, secluded and quiet thanks to mature plants and trees that create a desert oasis there are even fresh fruit trees you can pick right off and eat. Rock water features, gorgeous landscaping and a slide add even more luxury to the already-lavish and large swimming pool. 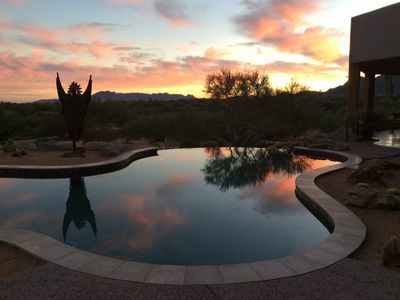 Even the hot tub blends into the beautiful setting, set into stone next to the pool. 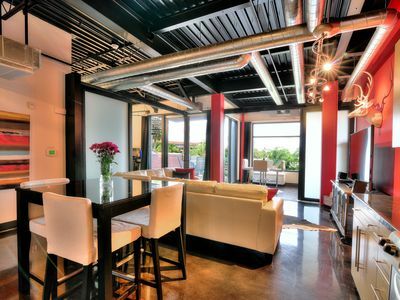 The main kitchen is large and open to the dining area, where all your guests can gather around the dining table or belly up to the kitchen bar. 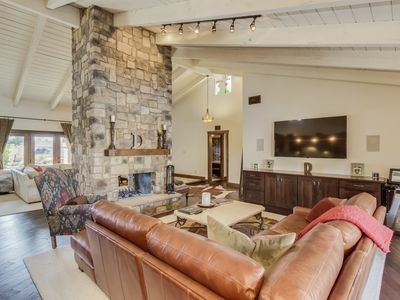 Take your movie nights to a new level on the living room’s massive flat-screen TV. 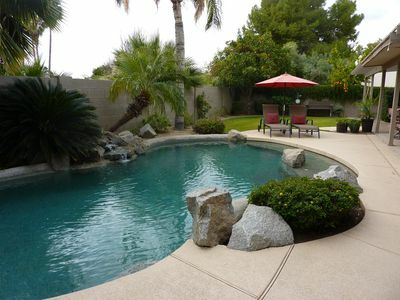 Corner lot -Private backyard backs to community small park with basketball court and tot lot. Early Check In or Late Check out can be arranged at an additional cost. 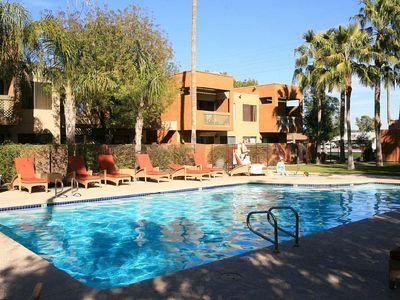 - Phoenix Sky Harbor International 20 miles 26 min. 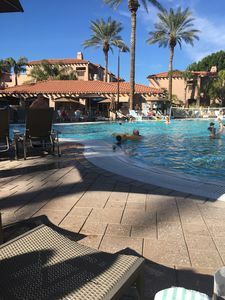 - Scottsdale Airport 2.5 miles 7 min. 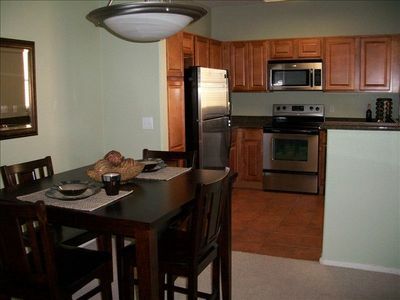 - Kierland Commons and Scottsdale Quarter 2 miles 5 min. - Studio Movie Grill 4 miles 9 min. - Cracker Jax (mini golf, go karts, driving range) 2.5 miles 6 min. - Top Golf and Riverwalk Casino 11 miles 17 min. 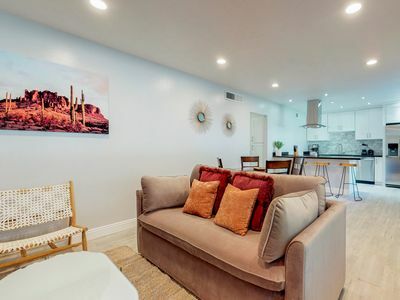 - Old Town Scottsdale 11 miles 20 min. - Desert Botanical Garden 19 miles 29 min. - Barrett-Jackson 5 miles 11 min. - Arabian Horse Show 5 miles 11 min. 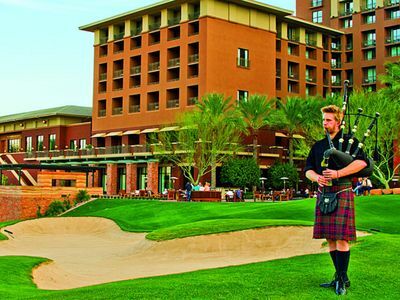 - TPC Scottsdale 3 miles 7 min. This home is someones home. We make sure at all measures that the home is protected. We verify id and credit card to make sure the name on the reservation is the name of the person checking in, and the person who made the reservation is the one in front of us. We also make sure to hold a card number just only for incidentals in case of any damages made while staying in this beautiful home. Spacious, Quiet Home With Lovely Views! 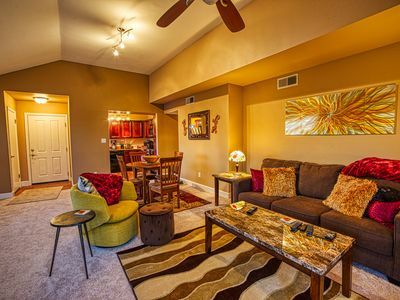 Luxury condo w/ shared hot tub, pool & tennis - close to golf & more! 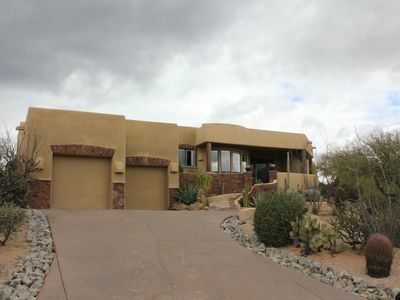 Scottsdale/McCormick Ranch Furnished Home -Close to Golf/Talking Stick/Phx Open! 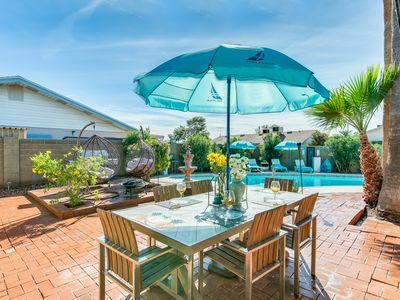 Welcome to Sunshine Casita - your gorgeous, relaxing, secure vacation home!